After a long and meaningful life of nearly 89 years our father/grandfather/uncle, Russell Lehmann, passed. Russell (or Skip) suffered from muscular sclerosis for many years. 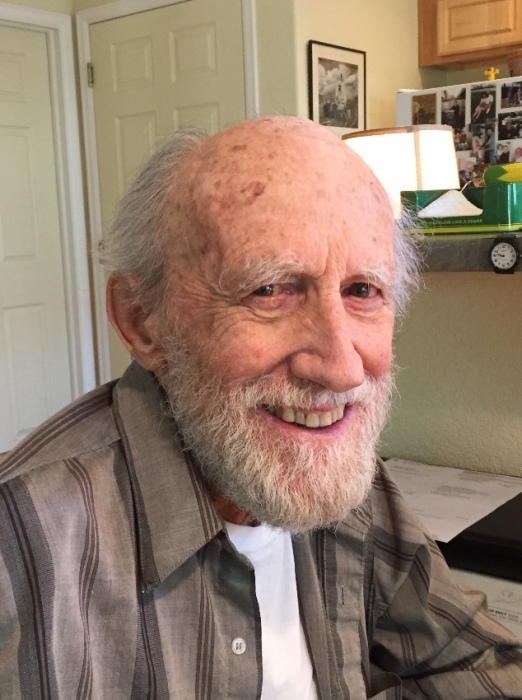 Nevertheless, he was able to sustain a fairly normal life at his home in Golden, Colorado with the support of family, friends and professional caregivers. To all those who have befriended and supported him over the years the family extends its PROFOUND GRATITUDE. Russell was born in Canton, Ohio to Swiss-German parents. He was preceded in birth and in death by a beloved sister, Marian. Russ was a child during the Great Depression and an adolescent during WWII; Russell did not serve in the military. He did his undergraduate work at Kent State, obtained a Masters Degree in geology from Ohio State and married a fellow student, Jayne Espenschied. They were married for twenty years and had two sons, Brian and Craig. Russell worked for 30 years for the Atlantic Refining Company (Now BP) in oil and coal. Work required that he relocate, family in tow, to several places - Ohio, Mississippi, Wyoming, Texas, W. Virginia and finally Colorado. His employer sent him on oil and coal expeditions to such exotic places as Alaska, Iran and Indonesia. He was an adventurer at heart; he very much enjoyed his work, the travel and the contact with the outdoors that it entailed. Born in the east, he loved the west; travel, camping, fishing, hunting, horse riding, hiking and skiing were favorite past-times, also painting and barbershop singing. Maintaining a healthy mind and body was a priority. Russ was a fervent patriot. Fiercely independent, he held traditional values and strove to uphold them with integrity in his personal life. He was a hard worker and a good provider for his family. Like all of us he had his failings, but what we remember and treasure most about him is his steadfastness and reliability as a father-figure and as a friend. When he gave his word, he kept it. You could rely on him in times of struggle. Thank you, Russell! The Lord bless you and keep you! The Lord make his face to shine upon you and be gracious unto you! The Lord lift up his countenance upon you and give you peace! Arrangements By Erlinger Funeral Home, Lafayette Colorado.